Citizen Academy is a look into the daily responsibilities and operation of the Hancock County Sheriff's Department. The Hancock County Sheriff’s Department believes that educating the citizens of Hancock County will aid in police/community rapport and will help to dispel misconceptions and misunderstanding. In turn, the Sheriff's Department becomes more aware of the feeling and concerns of the community through input from the students. 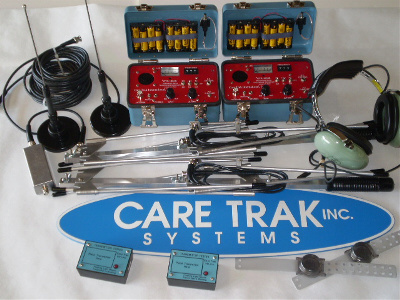 In 2016, the Hancock County Sheriff’s Department joined law enforcement agencies across the country in implementing Care Trak, a telemetry based system for tracking people at risk. Equipped with equipment and training, our officers are able to local and assist Alzheimer’s/dementia wanderers and children with special needs, such as Autism, Down Syndrome, and other conditions. Drug Abuse Resistance Education (D.A.R.E.) is a curriculum taught in all four Hancock County school corporations. At this time, the program is taught at the 5th/6th grade level. A uniformed trained police officer teaches a 10 lesson program that deals with topic such as: decision-making, peer pressure, bullying, saying no to peers, and the dangers of drugs. The students work through a workbook provided by the local Hancock County D.A.R.E. program. At the completion of the program a graduation is held. In May a picnic is held as a celebration for everyone in the county that has graduated. This picnic generally has about 1,100 students that attend. CrimeWatch involves individual citizens working, to make our own homes and families less inviting targets for crime, and cooperating with law enforcement through block and neighborhood groups to control crime throughout our community. Law Enforcement Exploring is a hands-on program open to young men and women who have completed the 6th grade through 20 years old, interested in a career in law enforcement or a related field in the criminal justice system.